The 55+ market segment is hot and getting hotter, and builders may do well to learn more about reverse mortgage products, which could offer their clients greater affordability. Home equity conversion mortgages for purchase allow an adult aged 62 years or more to buy a primary residence, and obtain a reverse mortgage in a single transaction, meaning only one set of closing costs and that the senior can buy without a monthly mortgage payment, HousingWire reports. Typically, these loans require down payments totaling more than half the purchase price, whereby that equity is then used to generate the reverse mortgage. According to a recent report from the National Association of Home Builders, the 55+ Housing Market Index was up six points from the previous quarter as present sales, expected sales and prospective buyer traffic for single-family builds all posted gains. While this is great news for builders in this market, there are obstacles on the horizon. 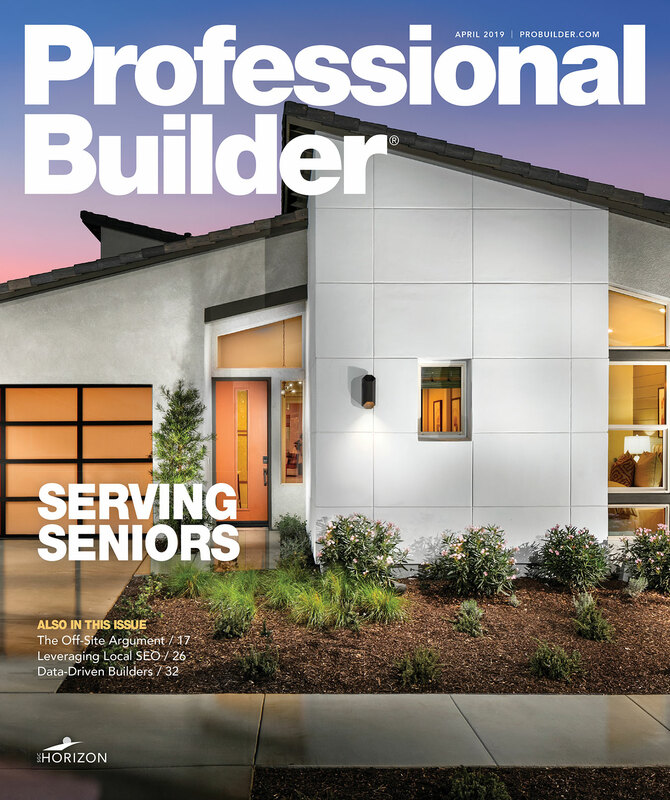 “Builders need to continue to manage rising construction costs to keep homes in 55+ communities at affordable price points,” said Chuck Ellison, chairman of NAHB's 55+ Housing Industry Council.